Artisan Alley has been branching out and teaching classes in the community of Bloomington, IN. These classes have the same subject matter as other Artisan Alley classes, but they are taught at a separate location. We have had many successful classes in the past in businesses such as Two Sticks Bakery, The Pourhouse Cafe, Crumble Coffee Shop, and more! 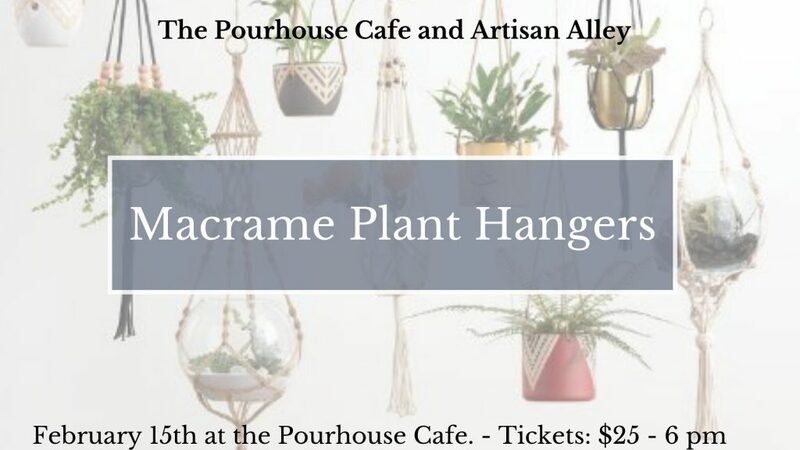 We are back at the Pourhouse Cafe to craft Macrame Plant Hangers. 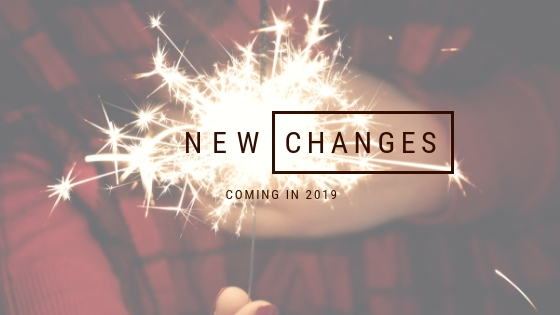 We can’t wait to share this awesome craft with you. The price for this class is $25 and includes all materials needed! To sign up, you can go to our Payment Website. Due to inclement weather, this class was rescheduled. This class teaches blind contour drawing- a technique used to trace the outline of someone’s face and body, without lifting your pen from the paper, and without looking at your paper! This technique easily turns into a fun, game-like way to challenge your art skills. 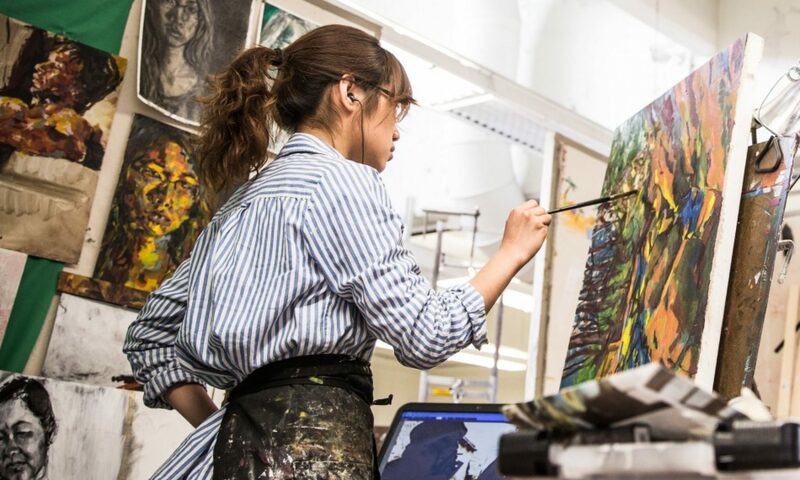 This class is great for a wide range of participants, whether you’ve never drawn in your life, or you’re a professional artist, and everything in between! 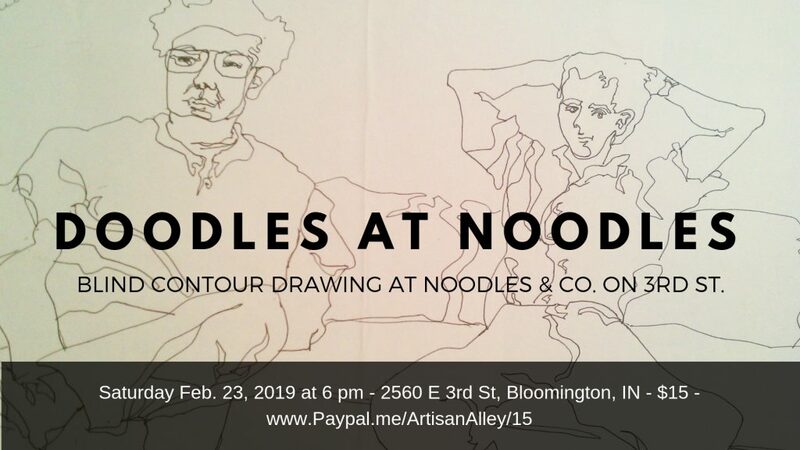 Bring a friend to draw, and every 15 minutes you and your partner will switch places. The tickets for this class are $15. You can pay by going here. 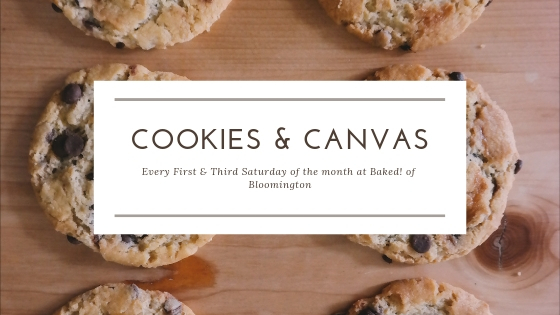 We’re mixing our regular Cookies and Canvas classes with our Community Craft Classes! From now on, our Cookies and Canvas/Craft classes will take place at Baked! of Bloomington. These classes take place every first and third Saturday of the month, and switch between guided paintings and guided crafts. 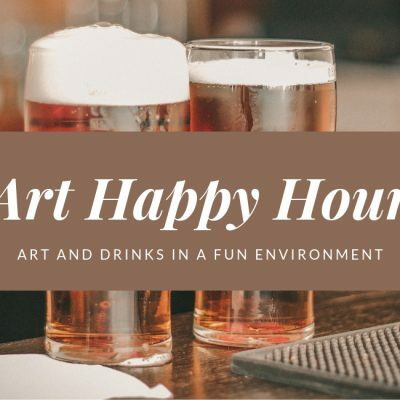 Similar to Wine and Canvas for adults only, these classes are appropriate for ALL ages! We love seeing full families come in to do a guided craft or guided painting. To pay for these classes, please click here.